This excellent review at Crime Scraps (the blog which has single-handedly rekindled my interest in historical fiction over the past year or so) prompted me to add this book to my TBR pile (or, if we’re being pedantic, to my TBL playlist). When the book was used several times by Margot Kinberg in her fascinating essays about what makes crime fiction tick I knew I had to read it soon. It counts as book 18 in my 2010 Audio Book Challenge. We are in the town of Banff near Aberdeen, Scotland in 1626. Patrick Davidson, the apothecary’s apprentice, is poisoned by an obscure plant. Was he killed by the music teacher because they both loved the same woman? Or was he a traitor preparing maps of the Scottish coastline to assist the invading armies of ‘the Papists’? Perhaps there is a different reason entirely. Alexander Seaton, who trained be a Minister but was disgraced before he could obtain his final commission, is compelled to uncover the murderer. I was captivated by this complex novel. The mystery itself is entertaining enough as numerous secrets are uncovered and people’s true natures revealed but there is far more than a whodunnit here. MacLean has provided rich, historically accurate details of village life and you really do feel transported to 17th Century Scotland where religious tensions are mounting, harsh punishments are handed out to those who transgress against social or religious rules and witch hunts are a regular occurence. The feeling of ‘being there’ was aided by the excellent narration, in a mild Scottish lilt, by Crawford Logan. I guess given the title of the book it’s no surprise that one of the novel’s themes is redemption but it deserves mention for being handled so deftly. Seaton, whose sin is unforgivable in the eyes of many, has not dared or wanted to become involved in village affairs until this incident. However, he slowly reveals, to others but more importantly to himself, that, at heart, he is still a good person who has much value to offer his community. Thinking him a bit too keen on self-flagellation I wasn’t sure that I was going to like Alexander Seaton at the outset but I ended up loving his loyalty, intelligence and practical application of the good Christian values that some of his fellow villagers espouse but spectacularly fail to demonstrate when push comes to shove. There are plenty of other really intriguing characters too including several old friends who have stuck by Alexander through his darkest times. The past is, they say, another country and this book did display some vast disparities between the historical period and our own but I couldn’t help but be struck also by the similarities we share. In the book we see religious bigotry and fear of foreigners being used by unscrupulous town leaders as a tool to whip the masses into a frenzy of outrage (and worse) which sounds a lot like what happens every other day of the week here in Oz. 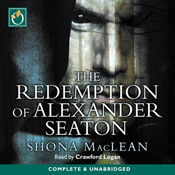 I found The Redemption of Alexander Seaton an utterly compelling story and gave a little dance of joy when I discovered there is a second instalment featuring this character already written. 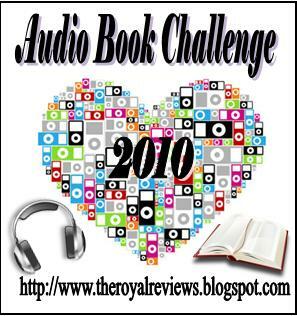 This entry was posted in Audio Book Challenge 2010, book review, Scotland, Shona MacLean. Bookmark the permalink. Sounds very intriguing. Not many delightful things to be happy about these days. But the fact that you just dance for joy because there is a sequel in store, deserves a celebration and a good start of my day! LOL JoV – I know what you mean about having everything you want in one theme. For nothing. Font size is an issue for me though (these old eyes just can’t see the way they used to) so I think I’ll have to stick with boring old Times New Roman. Bernadette – I’m so glad you liked this story – so glad! Isn’t it a terrific novel!? And you’ve done an excellent job at reviewing it. Folks, I heartily second Bernadette’s positive review. And about your theme? I was caught by surprise, too, and it took me a moment to realize – whoops, sorry, realise – that I was really on your blog. I like this layout : ). And thanks so much for the kind mention of my blog! This novel must have been superb to listen to in audio read by a Scottish reader with a mild lilt. I was really torn between this, and the Philip Kerr which eventually won, when I posted a roundup of the Ellis Peters contenders. I am extremely pleased you enjoyed this story because as a history nut, I sometimes think I may have boosted a book a bit too much. Scotland and poison + this review. I have a feeling I may have to put this one on my list.